Milwaukie Way is a new pedestrian alleyway formed by an existing 1929 Spanish Colonial-style building and two new buildings that wrap its south and west sides. Together, the new and the old create a vibrant, thoughtfully scaled pedestrian alley full of shops and a cafe, reminiscent of Old World streets. For this project, WA reconsidered a standard infill development through the lens of creating lively, yet intimate public spaces first. 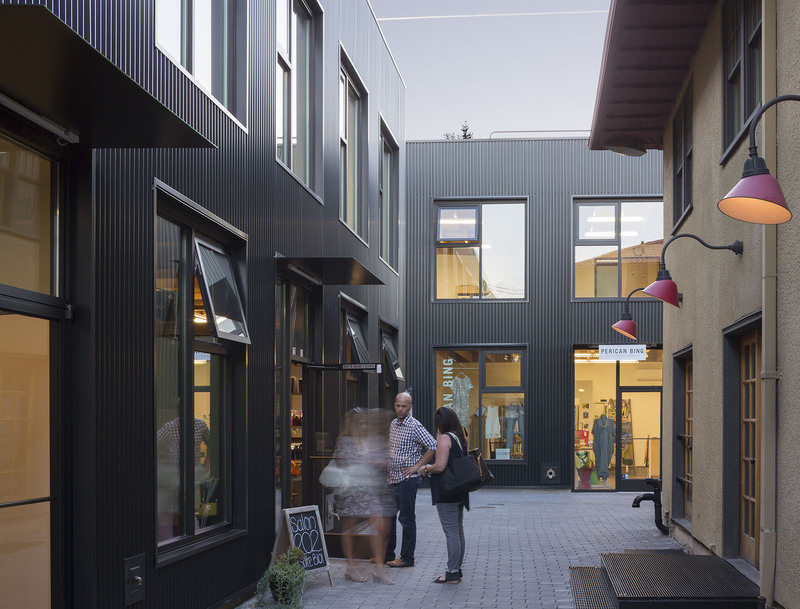 The ambition was to not only graciously accommodate the requested 7,500 SQ FT program for the client, but to contribute an urban alley scaled for neighborhood gatherings, interaction and chance meetings. For more images, check out the project page. Come visit Portland's newest landmark alley, Milwaukie Way, located in the Westmoreland neighborhood at 6637 SE Milwaukie Avenue.